Unlike late Hakimullah Mehsud who disfavored talks, his deputy Waliur Rahman favored dialogue and had convinced sizeable number of TTP Shura members to make an offer of dialogue to the government. His group suggested Maulana Fazlur Rahman, Munawar Hassan, Nawaz Sharif and Imran Khan to act as guarantors to preclude possibility of backtracking from the agreement. The offer was not taken seriously by the PPP led regime and it made it conditional to renunciation of violence. Talks offer was renewed once rightist PML-N and PTI were voted to power after May 11 elections. Offer of talks created division in TTP as well as in the society. A stage was set for a big breakthrough when Waliur Rahman who was the moving force behind peace talks was killed by a drone on May 29, 2013. Jundul Hafsa took revenge by killing ten foreigners at base camp of Nanga Parbat on June 23, 2013. It was generally expected that the TTP leading militancy in the northwest and in Punjab would tone down its acts of terror particularly against civilian targets once PML-N and PTI formed governments in the centre and Khyber Pakhtunkhwa (KP) respectively. As a result of their soft approach the TTP had spared these two parties and targeted liberal political parties during election campaign. ANP suffered the most in terms of human losses and in elections. Contrary to high expectations, the Taliban accelerated their terror strikes after the new government took over in early June 2013. Bulk of attacks took place in KP and PTI lost three sitting MPAs. This surge occurred in spite of APC called by the government on September 9, 2013 in which it was agreed by all the participants belonging to different parties and religious groups as well as the Army to enter into dialogue with the militants without pre-conditions and give peace a chance. The government stuck to its standpoint despite lot of noise made by the liberals. Anti-peace talks lobbies supported by foreign powers and backed by liberals and segment of media launched a concerted campaign to sabotage proposed peace talks and kept picking fault lines in the resolution passed by the APC. Drone strikes also continued. 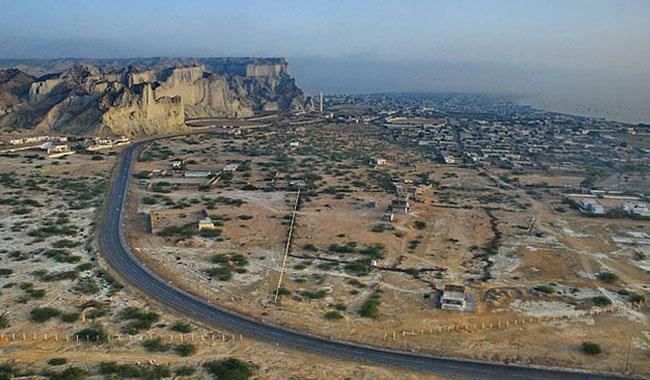 When the TTP offered to talk and welcomed the initiative taken by the APC, it was taken as a sign that the road had been cleared for negotiations. KP government felt so confident that it announced phased withdrawal of troops from Buner, Shangla, Dir, Chitral and Malakand districts starting mid October 2013 and handing over responsibility to civil administration. While the ground was being smoothened for the meeting, an unexpected incident took place. On September 15, Maj Gen Sanaullah Niazi and two were martyred at Upper Dir on account of IED planted by Fazlullah’s militants. and $3.7 trillion dollars spent. Peace process got a big jolt when TTP claimed responsibility and vowed to continue hitting military targets. This hostile act in response to Government’s policy of appeasement was regrettable. It angered the rank and file of the Army and put the Federal and KP governments in awkward position but gave a strong handle to the anti-peace lobbies to beat the peace makers with and make fun of them. As the debate between pro-peace and anti-peace lobbies intensified, another gruesome act of terror took place on September 22 in Peshawar where a church was struck by two suicide bombers soon after Sunday prayers killing 84 people and injuring 175. While TTP denied involvement, Jundullah Hafsa, a faction of TTP comprising Punjabi Taliban and led by Asmatullah Muawia claimed responsibility of church attack. In the wake of widespread denunciation inside and outside the country over the dastardly attack on church and condemnation by Ulemas of all schools of thoughts terming the act against the teachings of Quran and Sunnah, TTP Shura urged Muawia to disown the act. Soon after his disownment, another group Jundullah led by Ahmed Marwat based in NW claimed responsibility. In reaction to series of terrorist attacks, precision guided air attacks were carried out on militant’s hideouts in FATA which caused casualties and compelled the militants to declare unilateral ceasefire on March 1 for one month. As against high expectations of military action, PM Nawaz Sharif disappointed pro-war lobbies by giving peace yet another chance and formed a government committee. TTP responded by giving names of their representatives. After the initial breakthrough, government committee was rehashed. Seven hours long meeting of TTP nominated committee with members of TTP Shura at Bilandkhel village in Orakzai Agency on 26 March under cordial atmosphere has raised hopes and light can be seen at the end of the tunnel. Ceasefire which expired on 31 March is likely to be extended. As a confidence building measure the government released some prisoners and TTP is likely to reciprocate to generate goodwill. Decade old antagonism will take time to tone down and transform into conciliation and brotherhood. The war has halted investments and economic activity has almost come to a grinding halt due to energy crisis and disturbed law and order situation. 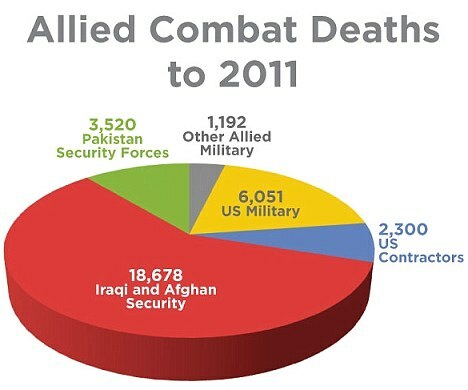 Human losses have risen several times higher than the collective losses suffered by coalition forces in Afghanistan while social traumas are incalculable. War has made Pakistan more dependent upon USA, forcing our rulers to continue clinging to the aprons of USA despite its biased behavior. Infighting among the Muslims suits the US designs; hence it would like the war to continue. While the US caught up in a blind alley in Afghanistan is clueless how to exit safely, Pakistan too had no strategy to end the futile war till the start of talks with TTP. Paradoxically, the key to peace is with hardnosed Taliban. Eleven-year war has not only given tremendous experience of fighting guerrilla war to both Pak Army and militants but also has removed inhibitions and fears of each other. Militants fear air power and drones only. The militants could not have continued fighting for so long without external support and safe sanctuaries across the border. They are more dangerous in cities where they operate as faceless enemies. Once NATO exits from Afghanistan, TTP will be left with no justifiable cause to continue spilling blood of Muslim brethren. Once external support dries up, their vigor will wane rapidly and sooner than later they may give up fighting. The other view is that TTP may become stronger if Taliban government get re-installed in Kabul after 2014 and may then disagree to ceasefire unless all their demands are accepted unconditionally. The low intensity conflict has caused substantial wear and tear to military’s weapons & equipment. War has also fatigued the troops living in combat zone amid hazardous environment where life is cheap. Situation will further worsen in coming months since militancy has spread to every nook and corner of the country. Civil administration and law courts have not established rule of law in any of the areas recaptured by the Army thereby putting added burden on the Army to hold ground, provide security and carryout rehabilitation/development works. Opinions on war on terror whether it is our war or someone else’s war, and whether talks should be held with militants or not are sharply divided. This division in perceptions is to the advantage of militants and disfavors security forces. With so many grave internal and external threats, most of which were invented and thrust upon Pakistan by foreign powers and duly exacerbated by meek and self-serving political leadership, Army’s plate remain full. 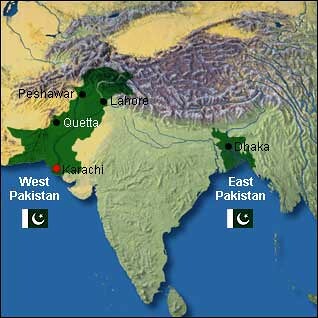 War on terror poses a three dimensional threat when viewed in context with twin threat posed by India and Afghanistan. In case of an Indo-Pakistan war, our current force structure is insufficient and ill-suited to confront three dimensional threats. Peace is a key to Pakistan’s economic takeoff. From Sibi to Quetta the sight of beautiful train journey has now become unsafe because of attacks by foreign-sponsored terrorists. Of late UNO is concerned about ‘state terrorism’ in Balochistan. But strangely enough it is unable to see violations of human rights and state terrorism of Indian army in Indian Held Kashmir. 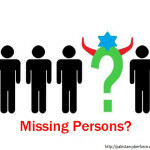 It is not concerned about the genocide of Muslims in Arakan, Myanmar; the blockade of Gaza by Jewish terrorists and killings of Muslims are justified by the UN that is controlled and paid by Jews and anti-human government of the USA. The UNO does not object to the terrorists sponsored by CIA, RAW and MOSSAD enter Pakistan from Afghanistan, attack its defence installations, security personnel, the check posts on Afghan border, and murder innocent Pakistanis by attacking Pakistani markets. Why all types of human rights violations are visible to them only in Balochistan? I believe media in Pakistan, knowingly or unknowingly, has played major role in earning bad name for the country. Does anybody know that in Assam curfew has been imposed in many districts of the Indian state from last several months? No, because to them the Indian media has behaved ‘sensibly’. In Madras and other eastern coastal areas with the drop of the night the rule and law of Naxalites prevails. Neither the UN sees the inhuman use of force by Indian machinery against them nor does Indian media publish or telecast any news that may defame India. Many among us try to prove Tipu Sultan as a failed ruler. Real problems of Balochistan are not discussed. No campaign has yet been seen to educate the local people through media so that they are brought to national mainstream and get awareness about the sentiments of their fellow Pakistanis living in other provinces. Many of the locals terrified by the foreign-sponsored terrorists, mostly unfamiliar to the local population, do not speak because their word is not heard or communicated through ‘independent’ media. Their voice remains unheard because there is no attempt by media to reach them. This obviously adds to their sense of insecurity, otherwise they would have helped the law enforcement agencies in unearthing hideouts and torture cells of terrorists where they are also keeping the so-called ‘missing persons’. A video being shared by various social media outlets of a Baloch youth who was rescued by the law enforcement agencies from the custody of terrorists is of a great value and speaks volumes for the biased approach of our media that has so far not aired or telecast it. The five minute video is a press conference by a law enforcement official, along with a local who was actually in the custody of terrorists, but was rumoured by the terrorists that he was picked up by the security forces. The young boy saw from a hole an FC official and screamed from his torture cell calling for help to rescues him. As a result fire exchange took place in which five terrorists got killed. One FC man also embraced martyrdom. During the encounter the terrorists tried to kill persons in their custody. This young man was one of the survivors who later told media the whole truth. It was understood to believe that if this press conference could be aired well in time by the TV channels, the people of country could have seen real picture behind this saga. Why this has not been aired, it remains to be a mystery. What exactly happens is flabbergasting. Anti-Pakistan elements kidnap locals for ransom, inform their relatives to pay or else the hostage would be killed. There is hardly a chance of being able to pay ransom. So ultimately they are killed, their bodies are mutilated, thrown out on pathways. The very effective media propaganda being run under the psy ops of their foreign sponsors twist it by turning tables on the security agencies. But the same is not countered or handled by our own media, instead our media becomes pawn into their hands. This may not be the case in 100 percent cases. But locals admit that the suspected criminals, miscreants and locals said to be affiliated with terrorist organizations are nabbed by the security agencies and after investigation freed because of no evidence, they are intriguingly killed by the terrorists or picked up for suspicion of siding with agencies. 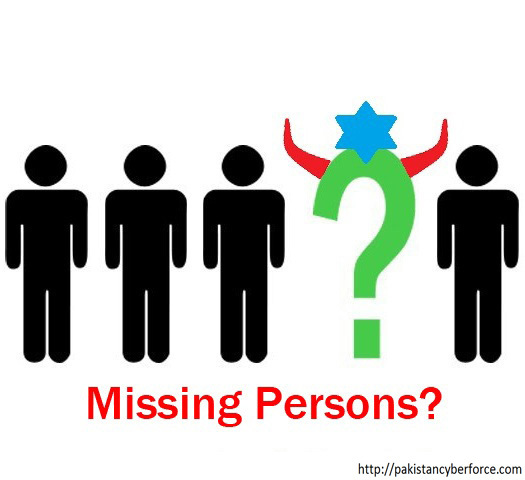 Again it is propagated that they are disappeared by the law enforcement agencies while actually it is not the case. Eye witnesses have seen aliens training the youth for terrorism in Balochistan, arming them with latest automatic weapons for cultivating sectarian disputes through target killing.